The LAVA DataTap-IP is a general purpose serial data line splitter with the added power of full data filtering. The device taps into any serial data stream to split and send serial data two ways: over IP, and additionally to a remote server, client, or COM port. 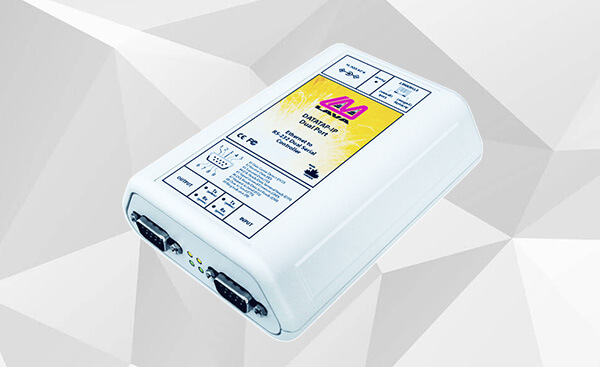 Featuring dual RS-232 serial ports, easy web browser configuration, and transparent pass-through operations, bi-directional communications from remote users can be established to any serial device directly connected to the Datatap-IP’s Input or Output ports. Since these serial ports are enumerated as local COM ports by LAVA Device Manager, the remote user can open these COM ports locally to communicate to their serial devices out in the field. LAVA DataTap-IP supports diagnostics of serial devices such as PLCs, ECRs (Electronic Cash Registers), and other RS-232 equipment by providing a bi-directional ‘pass-through’ data route between any two serial devices. The LAVA DataTap-IP has applications in Security, Point of Sale and Engineering.